Juliane is Head of Product Design at Beyerdynamic GmbH in Heilbronn, one of the leading suppliers of headphones, microphones and conference systems. After working for well-known designers such as Marc Newson, Studio Alain Mikli Paris and also companies like Suzuki Europe, Juliane became the Product Design Manager at Beyerdynamic in 2008. By directing product design, she is heavily involved in the development of the new and innovative audio products of the company. Her works have been exhibited at fares worldwide, reviewed in the international press and awarded. 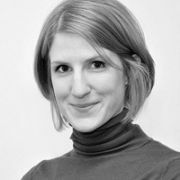 Juliane studied product design at Braunschweig University of Arts and at Karlsruhe University of Arts and Design.